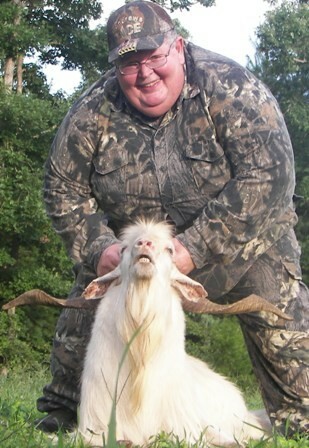 How about these Big and Tall sportsmen and all their successes in the field! We are extremely proud to have played a part! 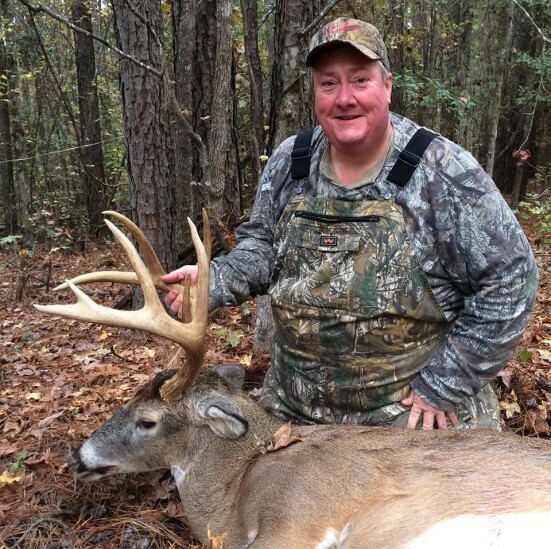 Keith F. with his really nice Georgia 9 point. The smile says it all in his his Walls Uninsulated Bibs. CONGRATS!! 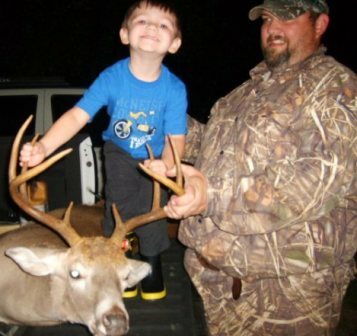 Danny & his little buddy with a nice buck killed on 11/9/09. Congrats! 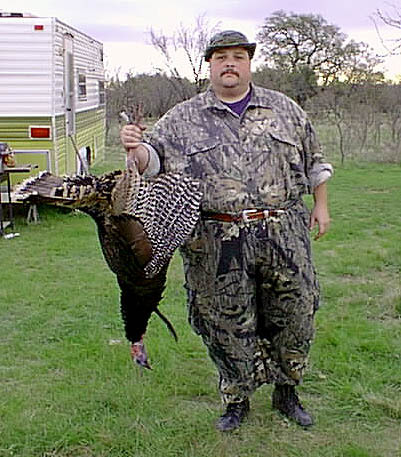 Here is our buddy Ron after a successful exotic hunt in TN. Way to go Ron! 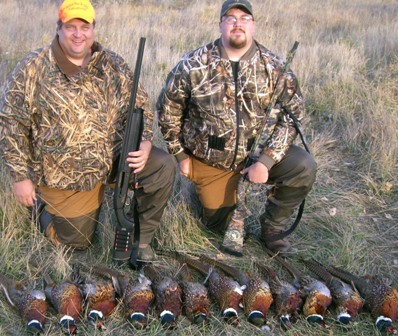 Paul O. on a Pheasant Hunt near Milbank SD. 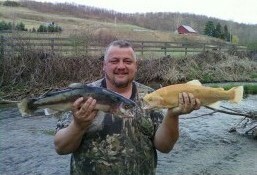 Here is Tom from PA with 2 nice tournament winning trout! 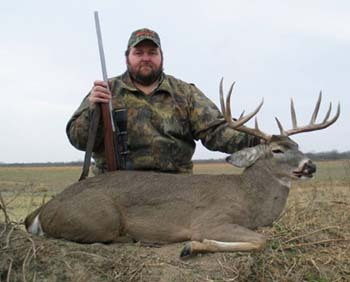 Here is Jeff from Canada with a nice buck. Must have been that great looking Mad Dog Growler Jacket (2008 Season)! 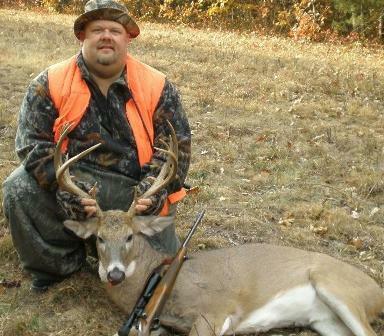 Here is Bryan from East Central Missouri with a Great Buck. Brush pants and camo shirt from Oversize Outfitters. North Dakota Pheasant hunt both of us are wearing the brush pants. I sincerely appreciate you being there for us big boys. 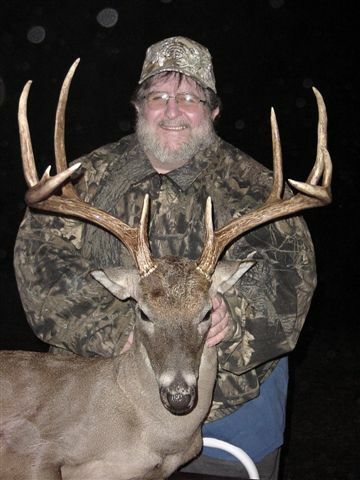 Here is Alan with his buck of a lifetime. 181 1/8 gross 1711/8 net. 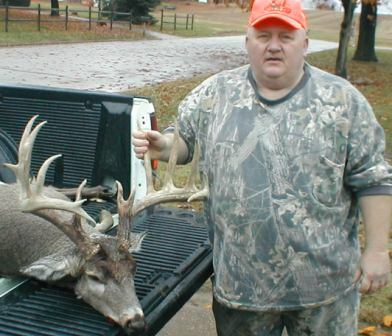 Here is a nice 10pt from the 07-08 season from Russell Silinski. David Neamand killed this (23" 4x4) mule deer in Malta Mt. 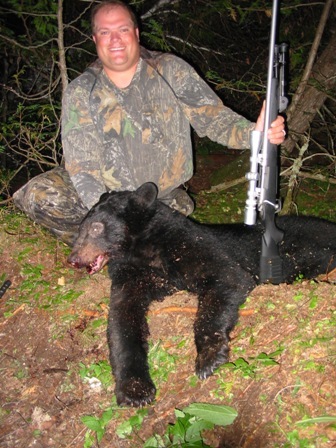 here is Tobias from Germany with his 11' polar bear taken in September. Must have been those Mad Dog Growler Pants! 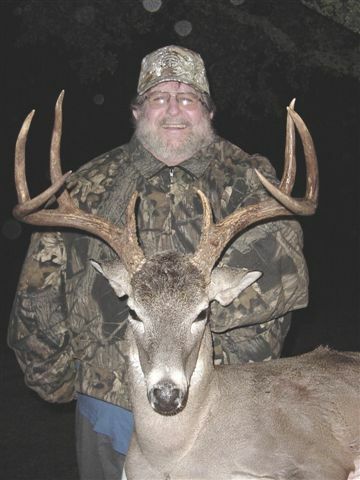 Here's Hardy with a super 164"+ 8 point taken at his family ranch in south Texas. 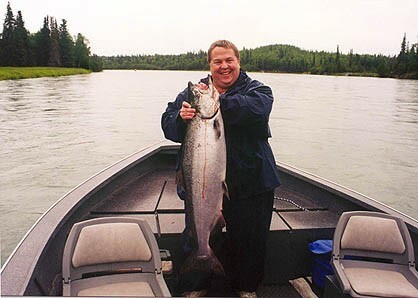 Ron Knapp with a big tom from Spring '07. 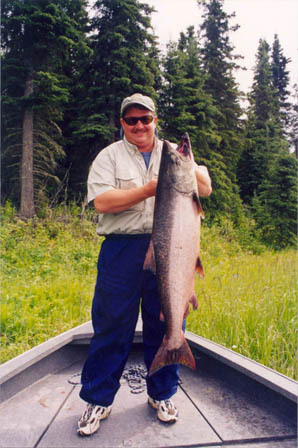 Jeff Foster with a 6.5lb Lake Trout. Good thing he had our blaze parka to stay warm! 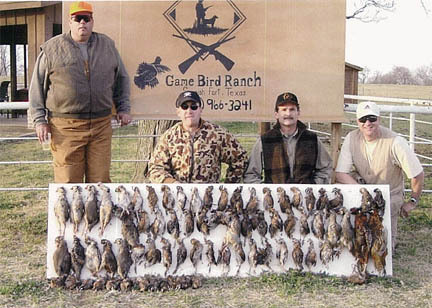 Arne with a few hunting buddies, and their collection of almost 100 birds from a trip to Nacona, Texas. Let the feathers fly! Hunting rabbits in the UK, first time out in his new Oversize Oufitters gear. THANKS to Mark for remembering us with a photo, and for passing our name around! 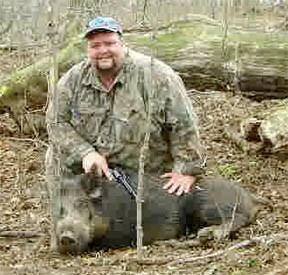 Richard took this Russian Boar on Friday, 4/19/02 in Brookfield, NY. Says Hoss, "I shot him once in the shoulder with my Ruger Blackhawk 44 Magnum from about 20 yards. First Boar ever. Lots of Fun. Thanks for the great camo." 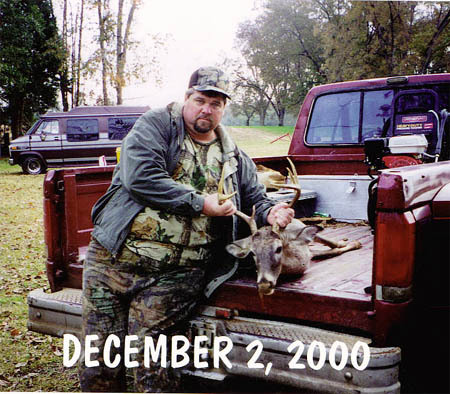 Richard "Hoss" Lickfield, and the deer that broke his slump of 7 years. 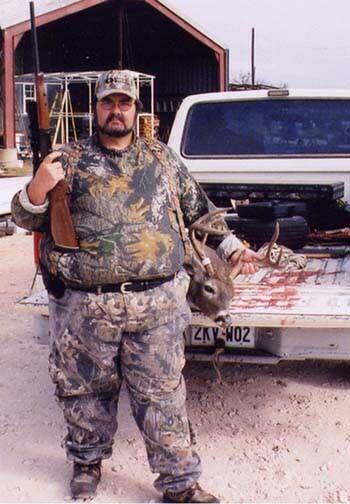 Must have been that good-looking camo. 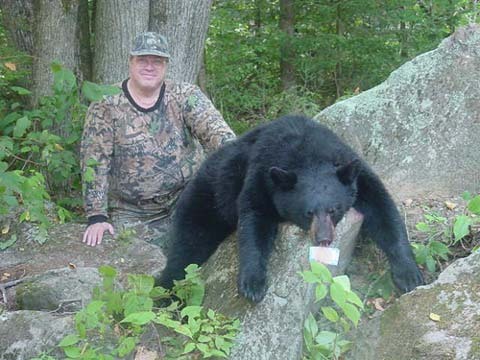 That's Joe from Oversize, with son Mac (5) after a stalking kill. He gave it up at 35 yards, deep in the woods, "Injun-Style". 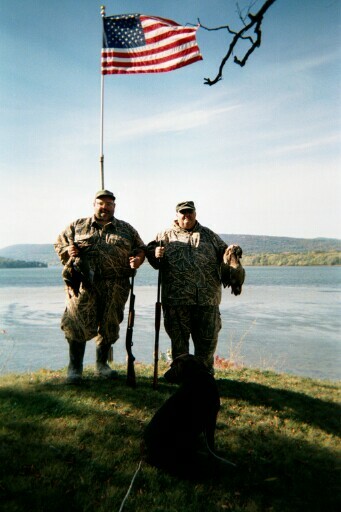 Here's Mitch Oldenburg and his brother, Jim, on the knoll overlooking Lake Champlain, after a great duck hunt. 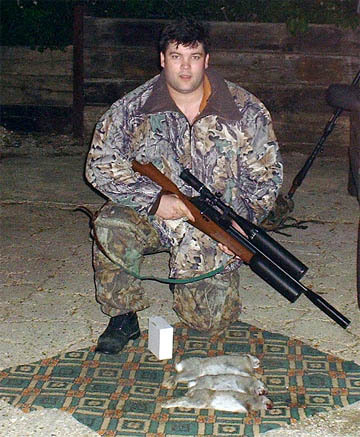 Mitch said his brother hadn't been out hunting in a while, but just had to get out to try out the new gear. We're glad to help. That's Pearl, Mitch's retriever, in the foreground. 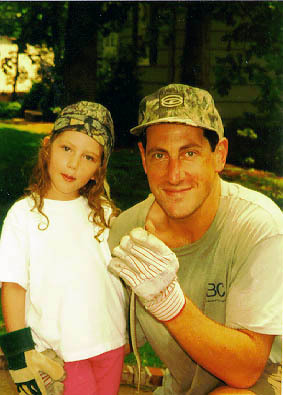 While gardening, Regan caught a ferocious "back-yard Anaconda" that the Crocodile Hunter would be proud of. Thanks to the headgear, the snake never saw them coming. 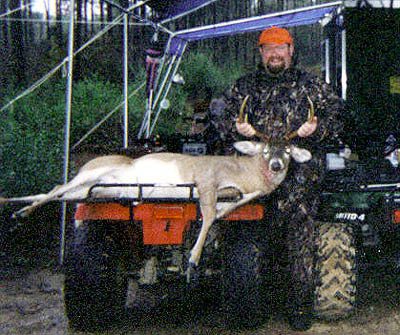 A nice 10pt buck on his first deer hunt, in Grady, Ga, December 2, 2000. Shot him with a Marlin 30/30 about an hour after he reached the stand. 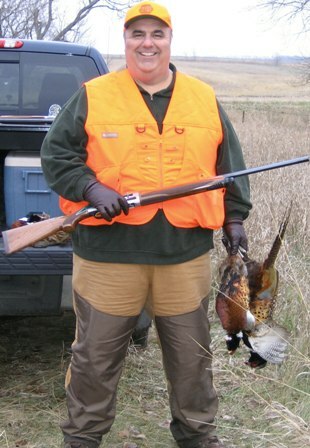 Bubba with a nice pheasant after a hunt in Winter, SD. 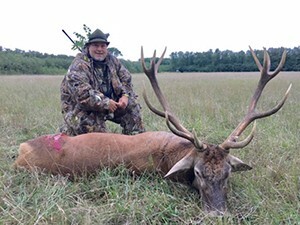 He used a Remington 1187, and our Lightweight Jacket and Briar Pants. 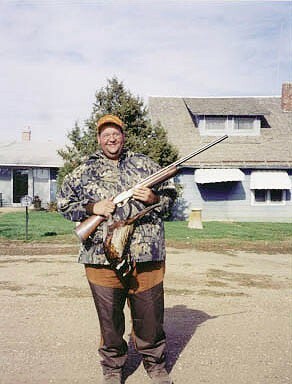 Bubba's 6'5", 380, and don't those clothes look nice!! 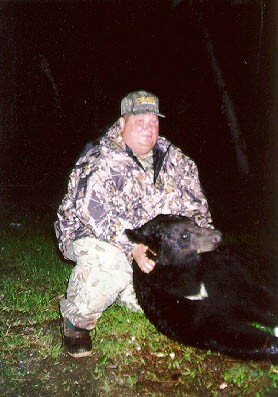 The photo is of Terry's successful Ontario Black Bear Hunt that he won on TotalHunter.com. The hat and all the camo was from your BigCamo, but the smile is pure Terry! CONGRATS! Tiny got tough and bought a LaCrosse Aeriform parka and bib set so he wouldn't miss any fishing. 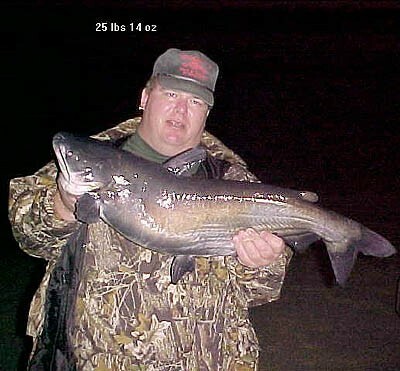 How about this nice blue he caught on 12/10/01 below the Keystone Dam near Drumright, OK? Tim runs a website devoted to catfishing, called www.catfishin.net -- Check it out! 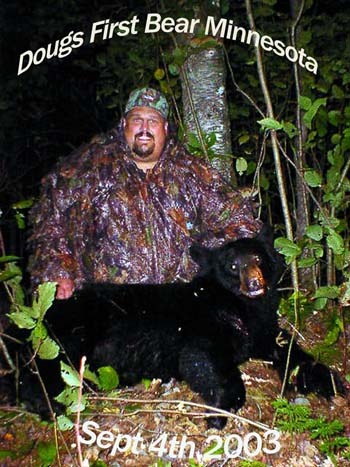 Doug Girton's first bear, 9/4/03, wearing the new 3D Bug Tamer outfit he got from BigCamo.com. We're thrilled to be part of his success! 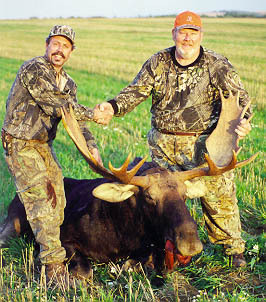 Gordon and guide Art Jasmen in Caribou, Maine, with 1225lb live weight 53" spread Moose Date of Harvest: September 24, 2001 SWEET! 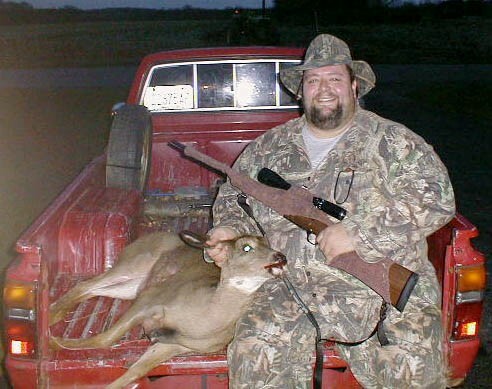 Joe Hill with one of two deer he took on a hunt. 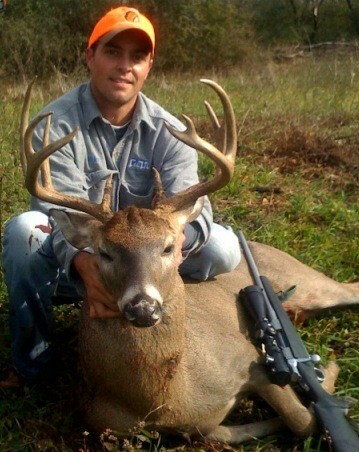 This one is a 140 class 8 point! 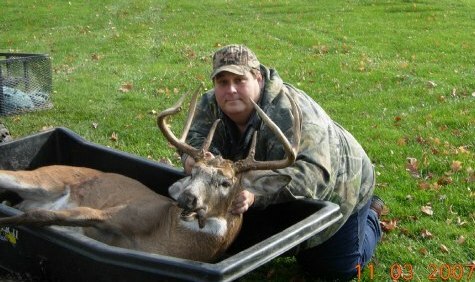 Here is Joe again on the same hunt with a second nice buck. This is a 9 point that scored 151. Looks like our Bomber Jacket helped him get close twice on this trip! 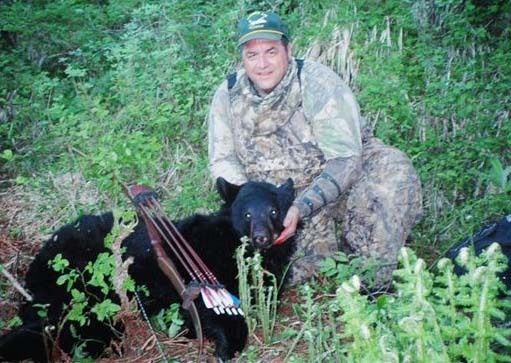 Here is Jerry Stout's spring '05 Alaska Black Bear Hunt. Juniper Mountain Longbow. Wearing our Lacrosse camo rain bibs. Jerry Stout again with a nice bull moose. 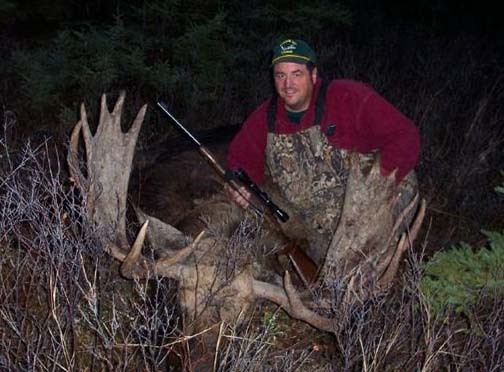 "Moose was shot interior Alaska fall "05. 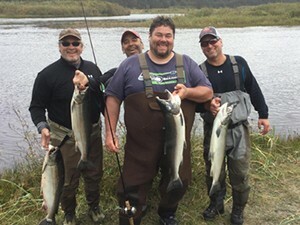 The Lacrosse camo rain pants and jacket are some of my best outdoor clothing and have proven Alaska tuff." Here is Tobias Kawlath from Germany with a Gold Medal Red Deer in the Czech Republic during the 2007 season. 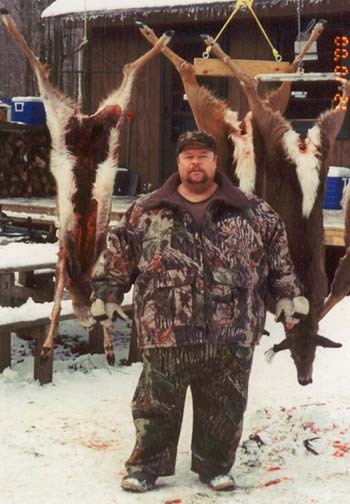 Dr. Lew with 4 X 5 mule deer sporting a 25" spread from the 2008 season. 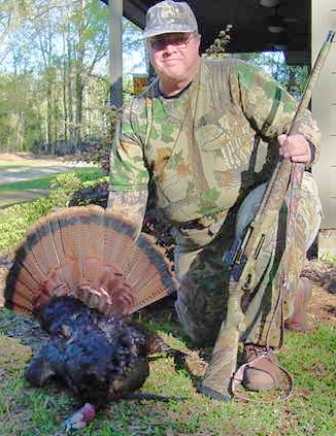 Here is Terry H. with a nice gobbler. This great buck was taken by Richard H.
Here is our buddy Ron S. with friends of the Wheelin Sportsman after a successful weekend hunt. 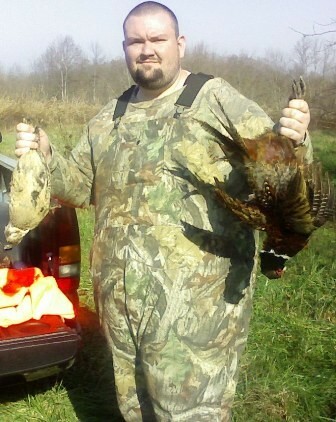 Here is Justin B. from KY with a couple nice birds! 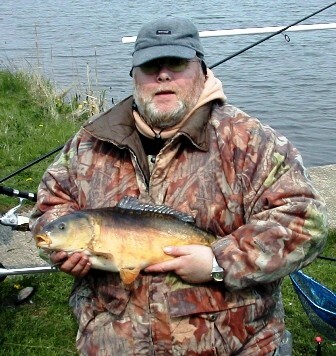 Stephen A. from the UK with a 10pound Mirror Carp. 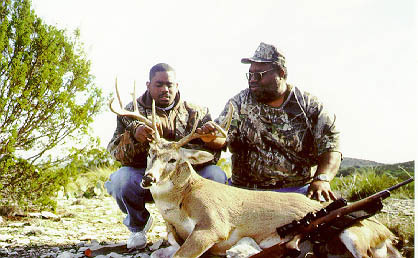 Lonnie from SD after a successful hunt during the 2006 season. 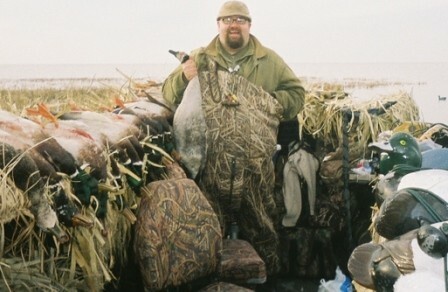 Destry on the last day of Ontario's waterfowl season in 2006 in a pair of Fly Waders (Discontinued). 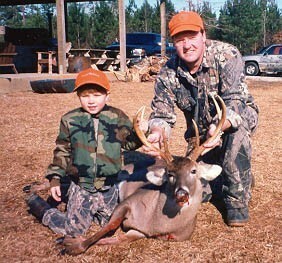 Riley from BigCamo with an Alabama 11pt from 12/08.